Every week, we recommend some music, movies, games, books or tech products based on a certain theme. Inspired by the amazing Blade Runner 2049, this week’s recommendations focus on five essential sci-fi movies that everyone – and yes, we mean everyone – should see. Share your five essential movies with us in the comments! Even as it approaches its 50th birthday, Stanley Kubrick’s sci-fi epic 2001 remains one of the most ambitious, mind-blowing and perplexing movies ever made. Explaining 2001 in words is a bit like trying to describe the Mona Lisa; it’s possible, but it really needs to be seen and experienced. Kubrick’s film, based on a story by sci-fi author Arthur C. Clarke, takes us from the beginning of time to the far-flung future (using one of cinema’s most iconic shots). Throughout, there is one common theme: a startling black monolith. The film eventually focuses on two astronauts on a mission with a sentient computer program, HAL 9000. Unfortunately, Hal isn’t the helpful AI assistant he first appears to be, and the explorers soon find themselves in a terrifying battle to survive. That summary really doesn’t do the film justice, though. Do yourself a favour: clear out a few hours and experience one of the strangest, most wonderful films ever made. Like 2001, Alien presents a vision of space that is beyond our comprehension… although rather than trippy visuals, Ridley Scott gives us a cold uncaring universe inhabited by a bloodthirsty killing machine. Alien follows the crew of the Nostromo as they respond to a distress signal from a far-off planet. As any good sci-fi fan knows, a distress signal usually means BIG TROUBLE – and this one is no different. The crew stumble upon a nest of weird eggs and… well, you probably know the rest. Alien has been hugely influential in both the sci-fi and horror genres, although nothing has ever quite matched the sheer horror of Ridley Scott’s masterpiece. Put it on, turn down the lights and remember: in your house, quite a lot of people can hear you scream… so try and keep it down, yeah? …you’ve seen Star Wars, haven’t you? Or, if you haven’t (seriously, where have you been? ), you probably have a rough idea of what happens: boy meets old bloke, boy finds out he has special powers, boy meet charming space rogue and princess, boy fights bloke with breathing problems and so on and so forth. The best sci-fi films tend to focus on the effects of new discoveries and technology on the human race; 2001 has HAL tormenting his fellow crew mates, Alien has everyone’s favourite football-headed extraterrestrial eating people and Star Wars has a regular guy coming to terms with incredible powers. Eternal Sunshine of the Spotless Mind explores the effect of technology on perhaps the most universal human emotion of them all: love. Written by Charlie Kaufman and directed by Michel Gondry, it follows a couple (played by Jim Carrey and Kate Winslet) who pay a company to delete their memories of each other after a particularly harsh break-up. However, Joel (Carrey) begins to remember that not every moment of their relationship was bad and that, maybe, the memories are worth preserving. Eternal Sunshine, while not a traditional sci-fi, is both a cautionary tale about technology and an ode to love in all its messy, occasionally miserable glory. 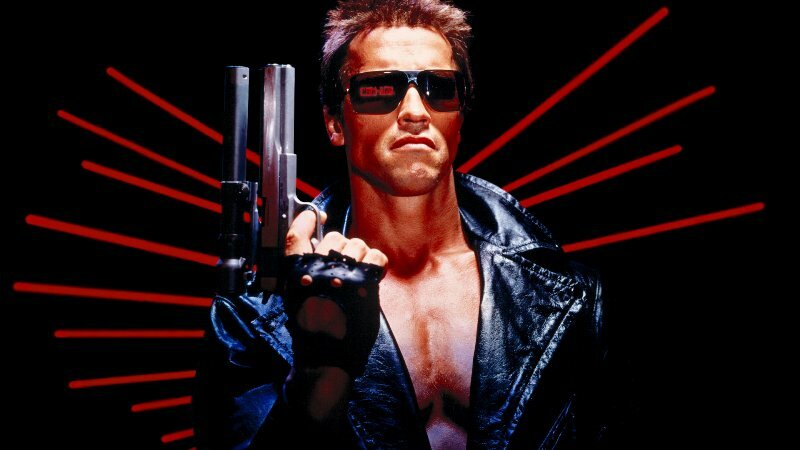 The Terminator is delightfully simple compared to the movies that followed (anyone who can explain the franchise timeline post-Genesys deserves a medal): a robot with an Austrian accent is sent back in time to murder a woman who will give birth to the future leader of the human resistance… who has also sent back his finest deputy (who is also his dad, despite being younger) to protect his mother. Alright, so the plot’s not that simple. But the movie is, with Arnie relentlessly pursuing poor old Sarah Connor while Kyle Reese tries his best to protect her (as it turns out, she doesn’t need much protecting). It’s also gave us some of cinema’s best one liners. Love sci-fi? You can find pretty much any sci-fi movie you can think of (and plenty more you can’t) on the musicMagpie Store right now. Prices start from just £1.09 and you’ll get FREE delivery too. Click below to buy Blu-Rays and DVDs now. Why wouldn’t you?